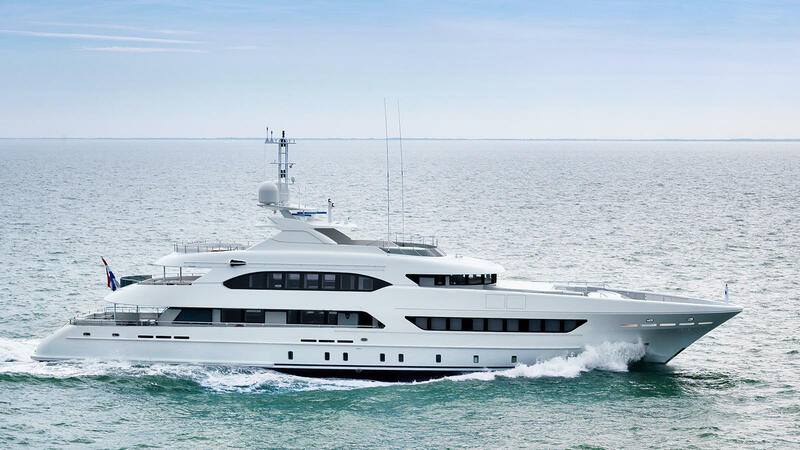 Since Heesen launched the 47-meter yacht dubbed "Ruya" she has been put through her paces in the North Sea and satisfactorily completed sea trials. Her interior is 100 percent complete and therefore she should be ready for delivery. The only issue is that she does not have an owner to be delivered to. 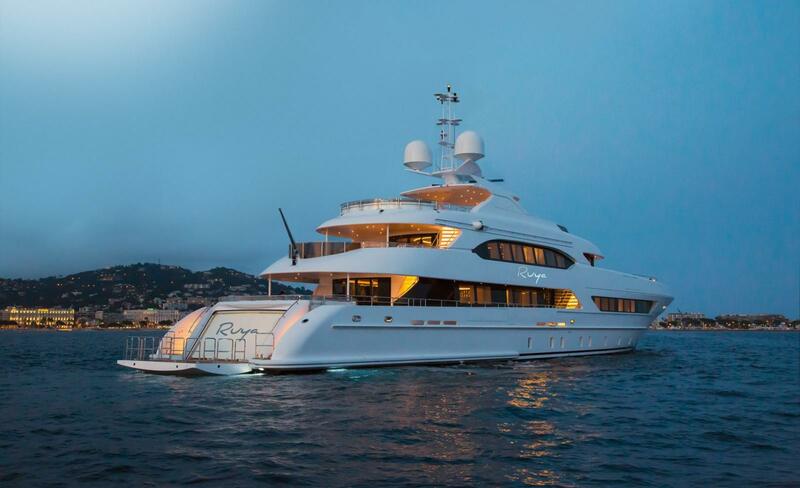 Ruya offers a very unique opportunity for a prospective owner to have a Dutch-built luxury yacht that is ready to go with zero wait-time. 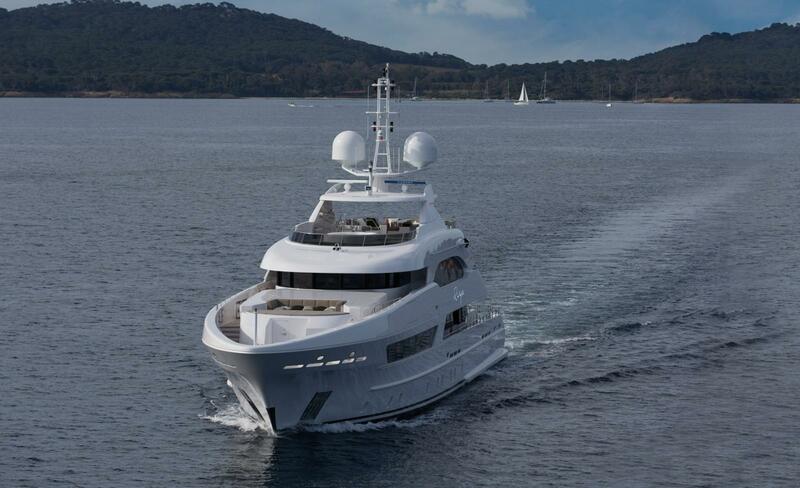 She is offered for sale at the moment for €27,900,000. 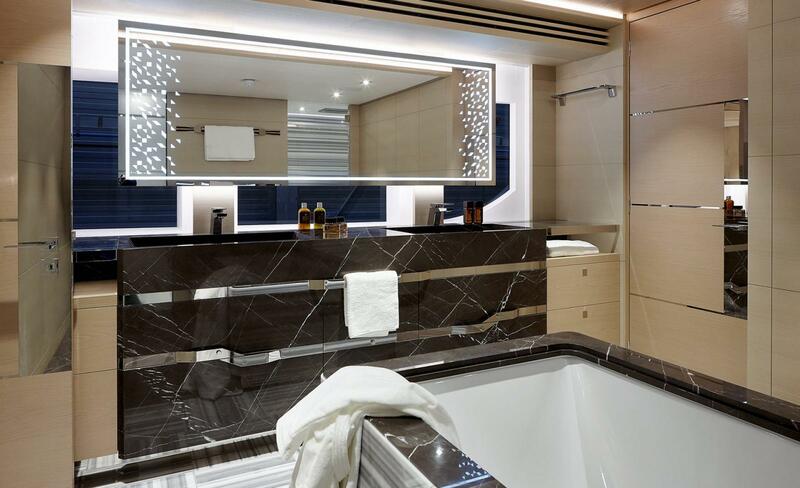 Ruya has a design by Omega Architects with Naval Architecture by Heesen along with a superb interior by British design firm Bannenberg & Rowell, a collaboration that is now well-cemented. The interior is definitely not boring with a base of creams, tans and browns that are supplemented by splashes of colour everywhere in a matured methodology. 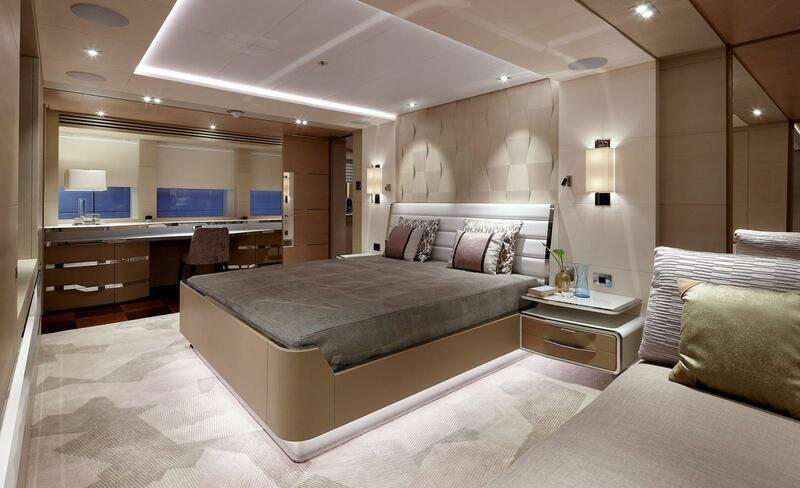 The new owner of this yacht will have a full beam master suite by default located on the forward main deck that features a light and sumptuous feeling due to the tones and colours chosen. 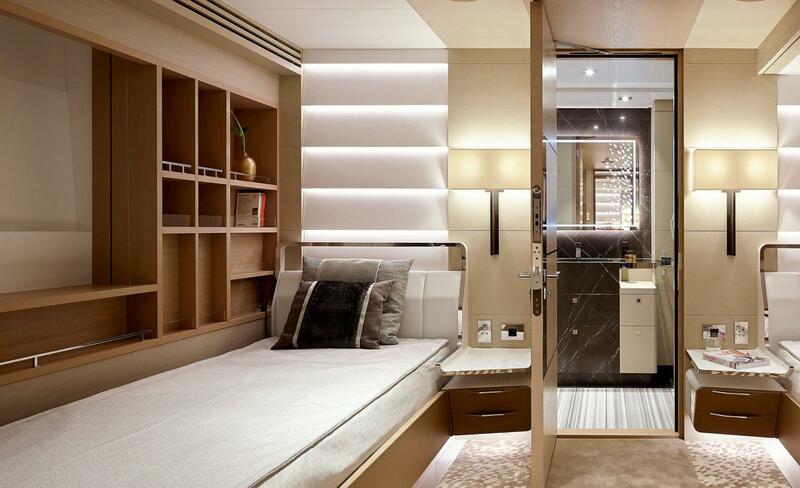 Below on the lower deck, their guests can easily be accommodated in four cabins (a mix of doubles and twins) which follow a similar theme in colouration and tones as the master and indeed the rest of the interior spaces. Ruya is the latest (hull 12) in these sub 500 GT yachts from Heesen and takes advantage of the yachts full-beam in a number of places. 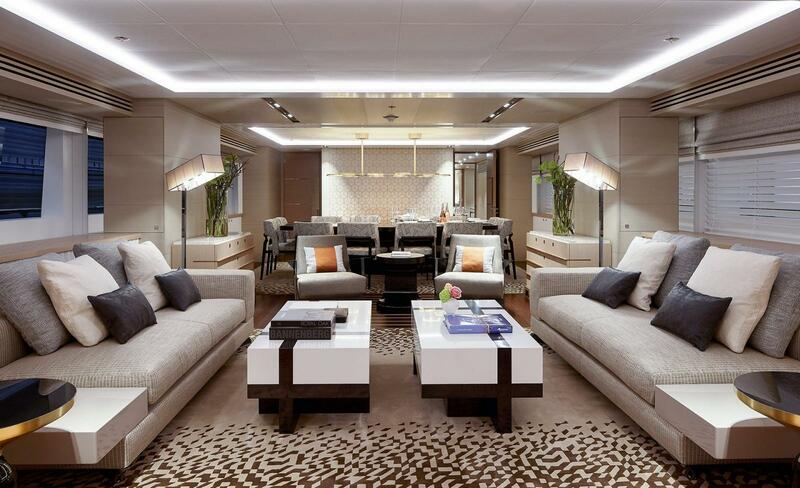 The main saloon is as wide as it can get while still providing side deck space for crew and guests to traverse easily on port and starboard. 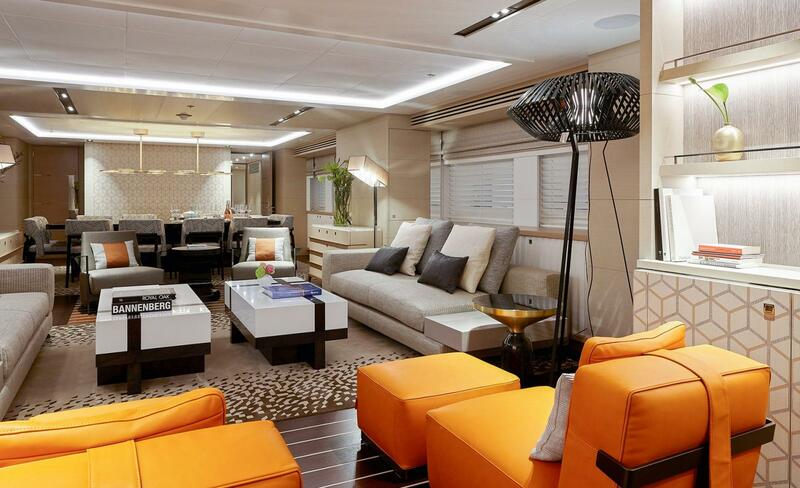 On the upper deck, the skylounge or secondary saloon benefits fully from the full-width of the yacht offering spacious environs with great views through near full-height windows. 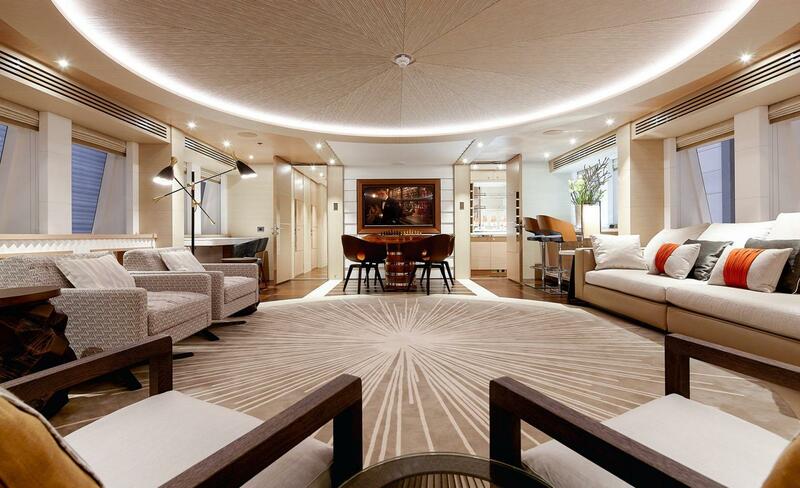 Again, the décor is consistent throughout the yacht even up here. The details are not left out either with intricate craftsmanship seen throughout the interior. For example have a look at this office nook. The mix of tonal variation even in the parquet arrangement on the floor is amazing coupled with the running grain of veneers of exotic hardwoods on furniture pieces gives the eyes much to focus on. Externally, Ruya may appear just like her sisterships before her but that is where the similarities end. She is available for purchase immediately offering an owner the chance to have a turn-key project instantly. If the client doesn’t like certain aspects of the interior styling that issue should easily be personalized. 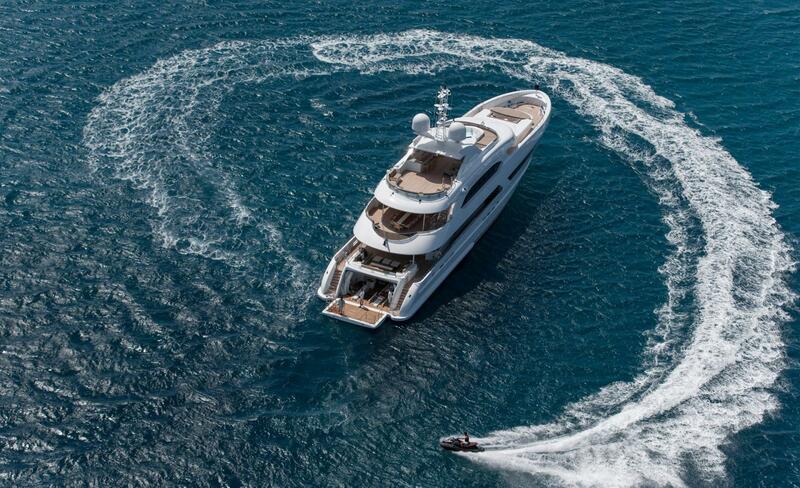 On sea trials she was said to have performed better than expected, surpassing her 15.5-knot contracted speed.